What does it look like to grow up today? How does this compare to the process of growing up in past generations? Do barriers exist between women of different cultures, or is the experience of becoming and being a woman universal? Why is it sometimes difficult to communicate between generations, and what advice do we have for each other as we try to move beyond unspoken conversations? 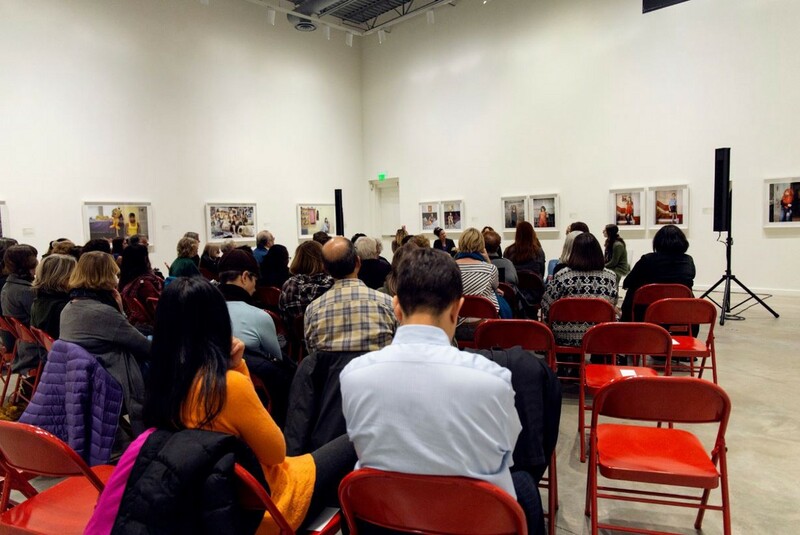 In Her Image: Photographs by Rania Matar, presented by the CMA and on view now at Transformer Station, recently provided the inspiration for an intergenerational panel discussion that tackled these tough questions. 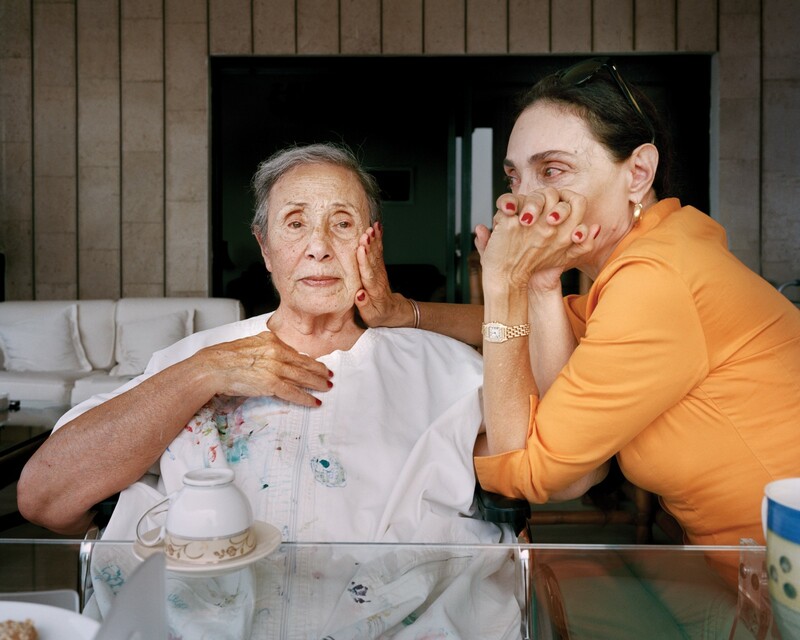 Rania Matar’s work explores female identity through portraiture, depicting girls and women on the cusp of adolescence through to middle age. 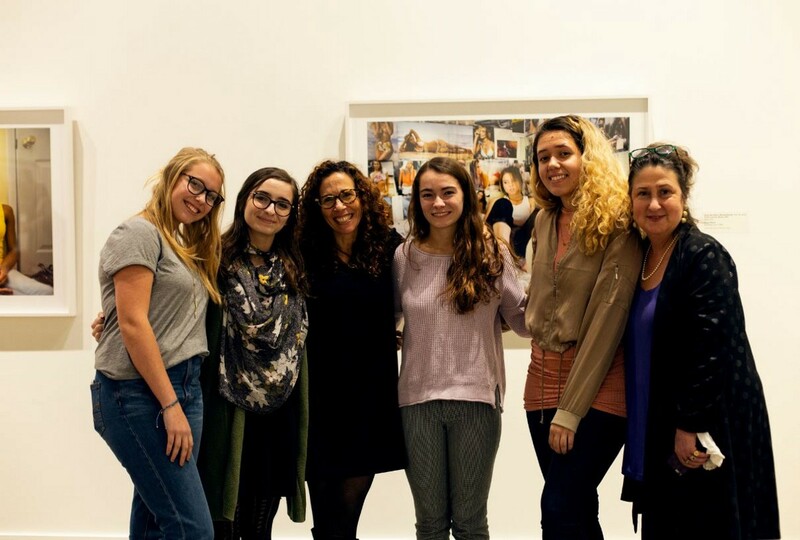 Because of Matar’s focus on the process of growing up, the CMA’s Teen CO-OP and Department of Public Programs partnered to host a conversation with the artist, young women, and educators in the community. 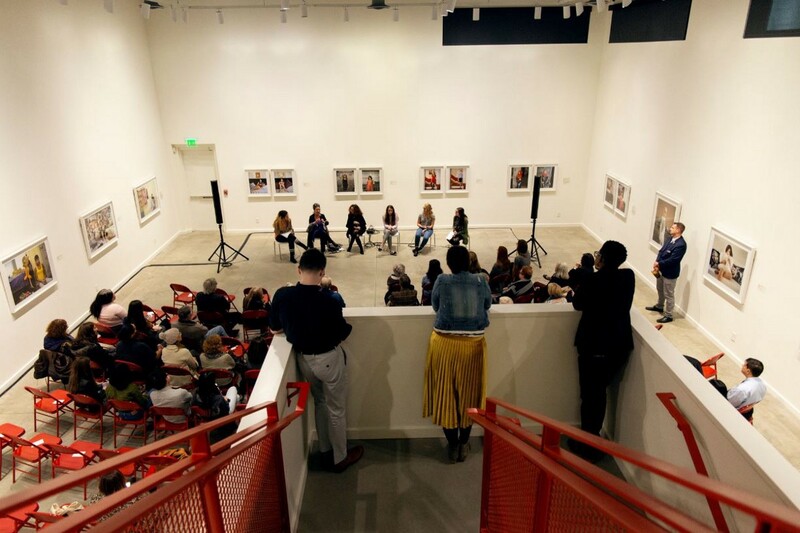 In addition to the artist, panelists included Ann Klotz, head of Laurel School and founder of its Center for Research on Girls; Maria Fallon, a senior at Beaumont High School; and Isabelle Southern, a senior at Westlake High School. The panel was moderated by Arcelia Gandarilla, Teen Programs fellow at the CMA, and Sasha Seckers, a senior at Lakewood High School. Fallon, Southern, and Seckers are current members of Teen CO-OP. a worldview grounded in art. 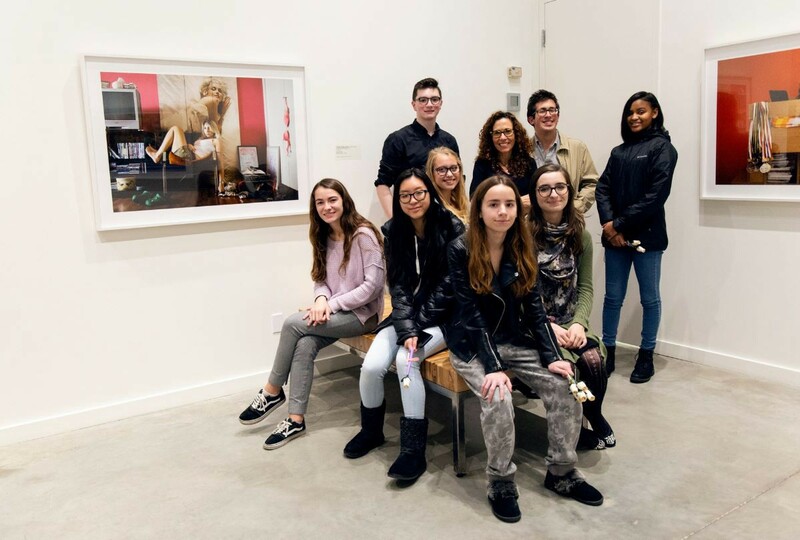 With this in mind, we asked members of Teen CO-OP to take the reins in designing the intergenerational panel discussion and sharing their perspectives on Matar’s work, alongside those of the artist and Laurel School’s Klotz. 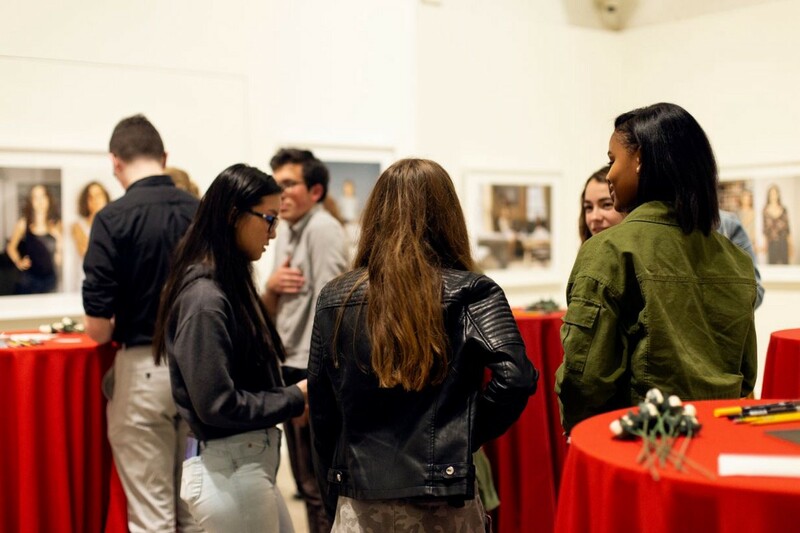 As Teen CO-OP members examined the artist’s portraits together and researched in preparation for the event, several questions and curiosities shaped the discussion. 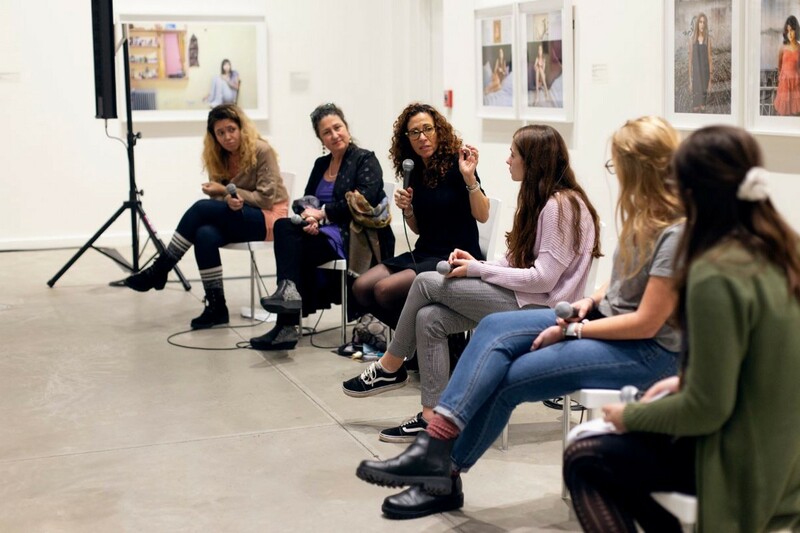 Most of all, we were interested in seeing what happened when we gave equal emphasis to the thoughts and perspectives of both adult women and young women through honest dialogue — in the same way that Matar’s portraits invite us to examine head-on female identities of all age groups. The exchanges throughout the evening tackled many of these issues, and we were left with some lingering conclusions. Growing up is hard. When asked about observing the process of growing up from the vantage point of an educator at Laurel School, Klotz mentioned that while it was still challenging when she was a teen, today’s society makes this process increasingly difficult. Girls are told they can do anything and be anything, but they have to do it perfectly, look good on social media, and communicate a positive outlook at all times. 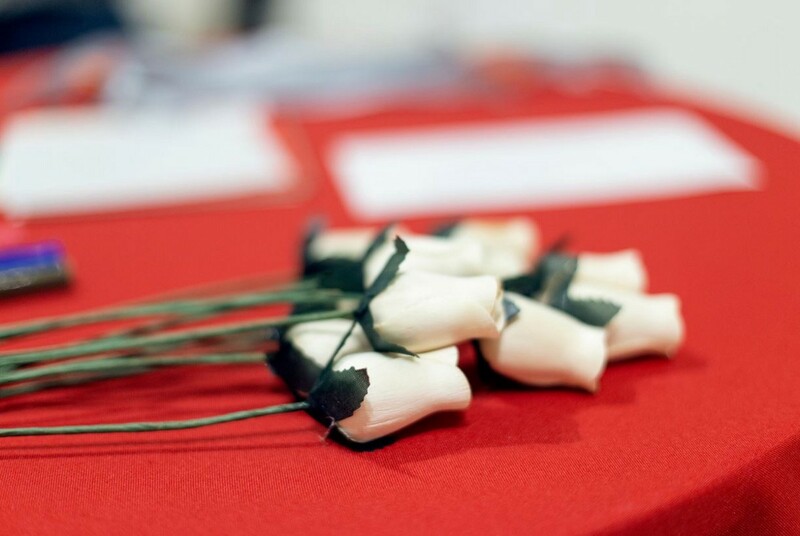 Students Southern and Fallon both mentioned detaching themselves from social media in order to avoid such pressures and constant feedback about all aspects of their lives, and acknowledged that these ideas of perfection can be overwhelming for peers. (As a side note, a 2018 Pew Research Center study found that 59% of teens have experienced cyberbullying. 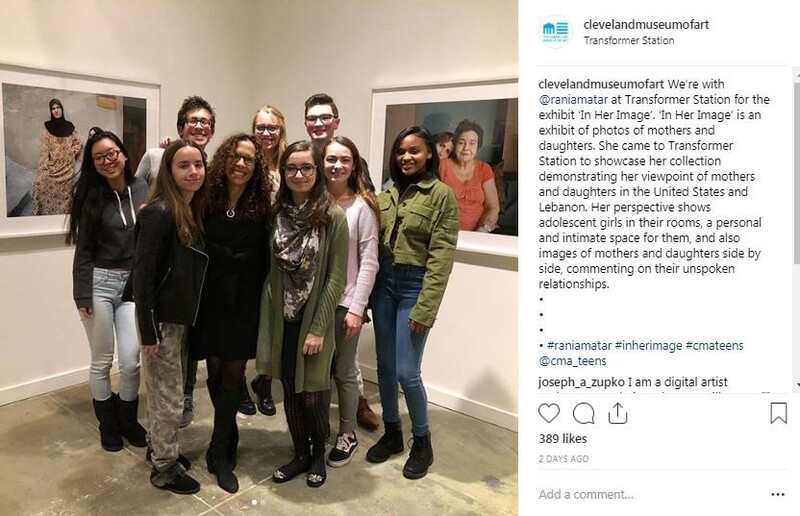 For A Girl and Her Room, a series of photos capturing girls in their bedrooms, Matar mentioned spending significant amounts of time with her subjects in order to move beyond posed selfies (the norm for social-media postings) and capture the teens’ true selves in their rooms. Some aspects of adolescence and growing up are universal, but the stories of individual women and girls are diverse and complex. During the discussion, Matar mentioned similarities between girls living in Lebanon and the United States. 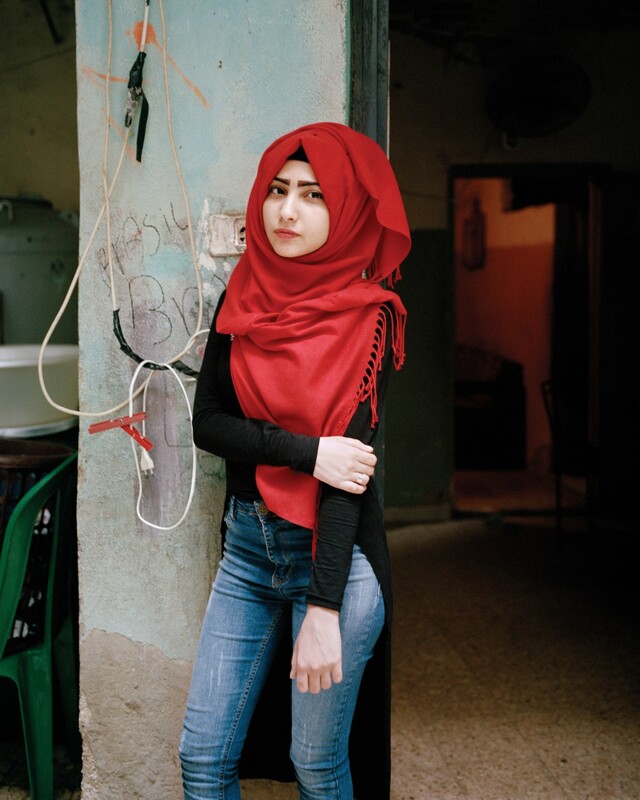 When viewing Matar’s work, one isn’t always able to tell the difference between subjects photographed in a refugee camp in Lebanon and a mother-daughter pair photographed in suburban Massachusetts. At the same time, the conditions surrounding women and girls impact individuals differently. Two of our panelists mentioned growing up without mothers but described different outcomes. One felt that growing up surrounded by men allowed her to be free of certain expectations experienced by her peers, while another felt a sense of wanting. Klotz and Fallon discussed the benefits of an all-girls education at Laurel and Beaumont schools, while Southern felt equally satisfied with a co-ed, public-school education at Westlake High School. 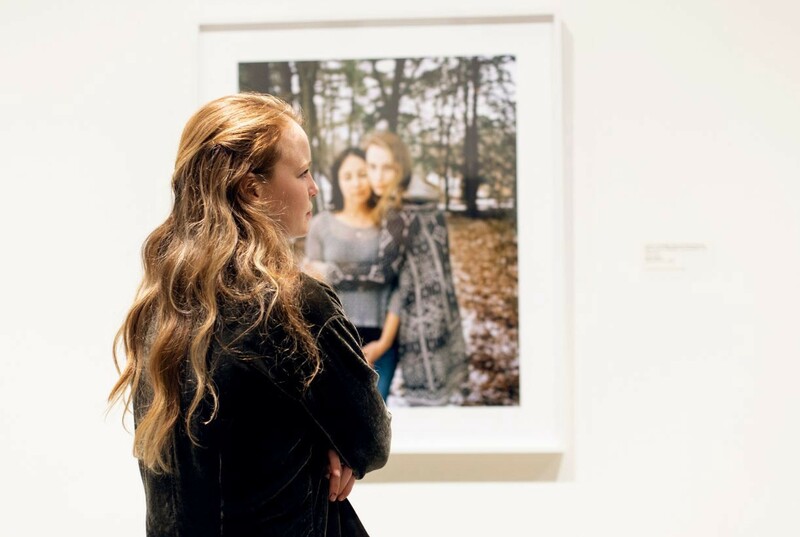 Female experiences and identities are multifaceted, as represented by the diversity of the imagery in this exhibition. Adults and teens can learn from each other. While this may sound clichéd, I suspect that most adults do not spend significant amounts of time soliciting the feedback of teenagers, and teens may not fully embrace conversations with adults in their lives. During our panel discussion, Matar and Klotz shared advice they wish they had been able to give their teenage selves: be kinder to yourself, and don’t spend so much time apologizing. During our panel discussion, Matar and Klotz shared advice they wish they had been able to give their teenage selves: be kinder to yourself, and don’t spend so much time apologizing. Matar said she was inspired by a recent Pantene shampoo commercial inviting women to stop saying “I’m sorry” at the beginning of a conversation and, instead, replace the much-used apologies with positive comments. 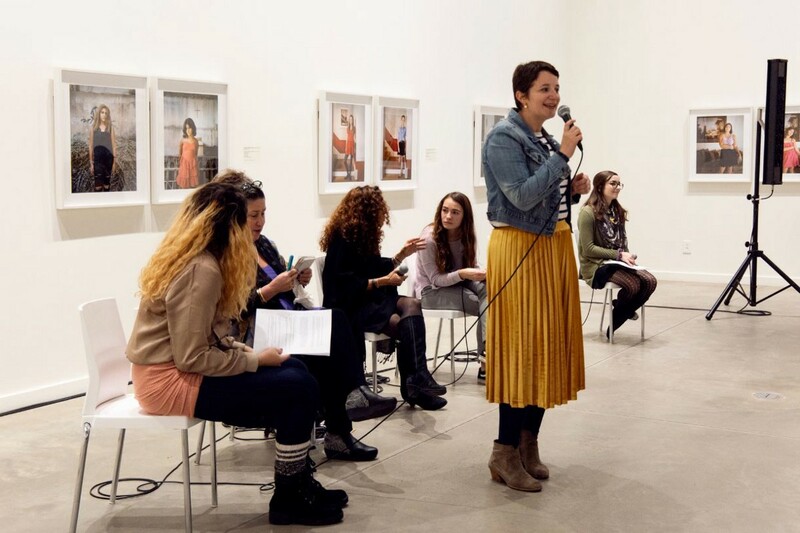 She encouraged young people to start this process now, rather than waiting until adulthood to realize that these apologies can stand in the way of advocating for yourself. Fallon and Southern also had advice to share with the adults in their lives: stop telling us you’ve been in our shoes, and just listen to what we’re experiencing now. Be patient and accept us for who we are. As an observer and an adult who works with these youths, I noticed one unspoken but prominent strand: today’s young people have a lot to say when given the opportunity. To hear more from our teens and find out more about upcoming Teen CO-OP events, please visit clevelandart.org/teens. 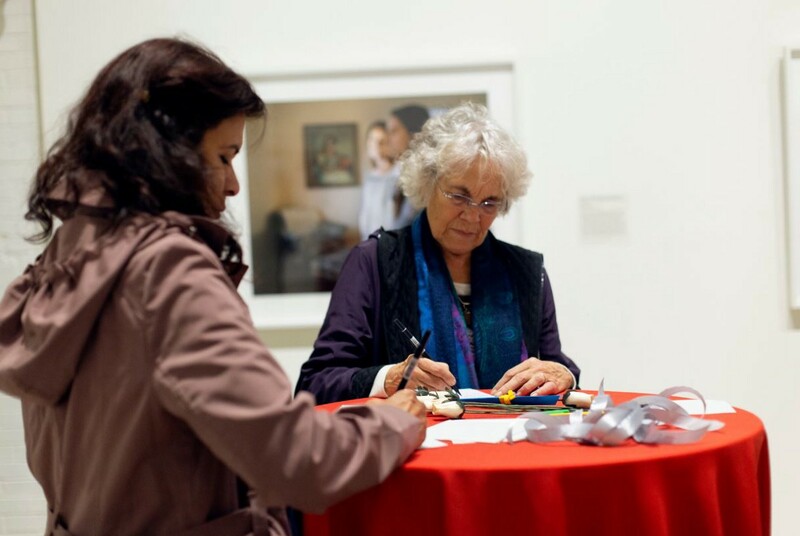 Images courtesy MercyWerks Studios for Cleveland Museum of Art.